When I was searching for interesting new recipes, I came across this Dosa which is supposed to be a Kovil prasadam. Though I am not sure how far this is true as I can only go by the title, I decided I will simply go by it and enjoy the goodness. When we had three different dosa recipes ready, we wanted to take a break and think about new ones later. But I knew if it was delayed I might again be rushed in. So planned for two recipes in one shot, making sure I reduce the measurement for each batter. Both this and the next dosas are halved and prepared. While searching on net I also came across this recipe, that also talks about the dosai that’s served in Azhaghar Kovil. The recipe calls for ginger, sonti ect, while the recipe I was using was really simple. 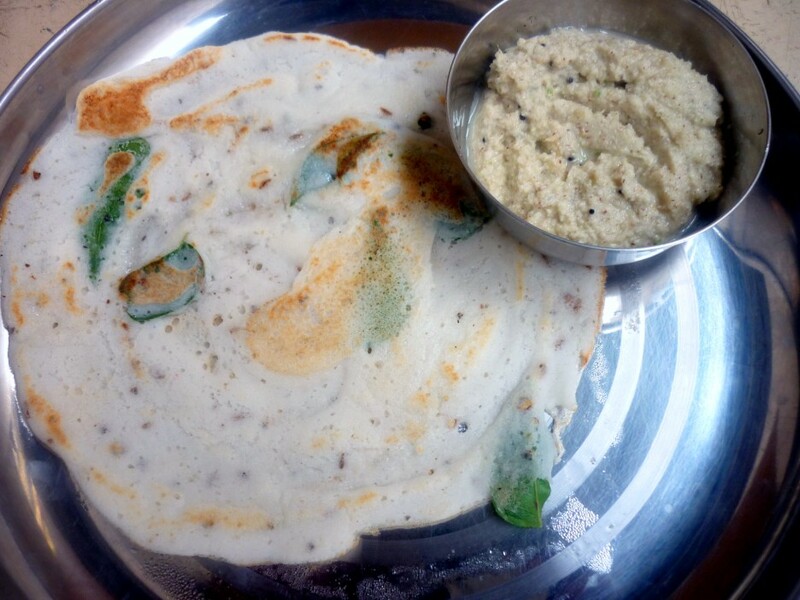 The morning I made this dosa, it was really a rushed affair at home. We were leaving for the boys convocation. Yes I can see surprised looks from you, well my boys have graduated from KG to Pre Primary. There was going to be a certificate giving and oath taking. Image all that! I was prepared for all sorts of surprises and wanted to be there on time. After reaching the school on time, I was shocked to see the graduation gown all given with the hat. The hats hardly fit any child. Yet the ayyamas were fervently trying to get the kids fit into the hats and sit in one place. We were asked to leave them in peace. I went hurriedly to catch a spot for myself. When the function started, I was floored to see tiny tots taking the stage by storm. Even I would be so scared to go up there and talk, while none of the assigned child showed any signs of fear. Wish they will grown up being so. We were treated to couple of traditional dances and then the whole hall danced to the tunes of songs from 3 idiots. Wow the kids were so so good. I could see many tear eyed parents getting emotional, watching their kid perform so well. I patiently waited for my boys to get their certificate from their guest of honour. Back down, they both were so proud to show off their laminated certificate. We were all in awe with the efforts the school had taken in to encourage the kids. When Daddy had earlier asked Amma where we were going, on hearing that we were going to convocation, he didn’t believe. He was shaking off his head saying he didn’t have a proper convocation. Why even I didn’t have one nor Hubby dear remembers being given one. Well anyways, it surely was a great time to remember. Coming back to the recipe, since I knew I might not be able to click pictures later, I hurriedly clicked couple of dosas and rushed out. Even when I was reading through the list, I knew it will be very tasty. Of course I didn’t add the amount of ghee that’s normally accepted when it’s a divine offering. Still it was so delicious. Wash and soak the rice and udad dal for 8 hours. Grind like dosa batter. Add salt and mix well. Let it ferment in normal room temperature for over 6 – 8 hours. 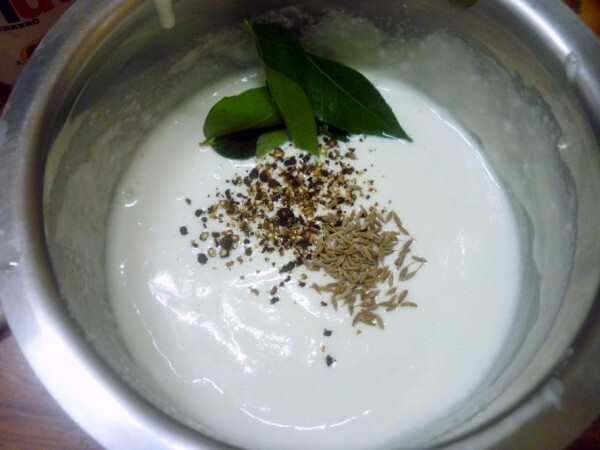 Before making out the dosas, add crushed black pepper and cumin seeds along with curry leaves. 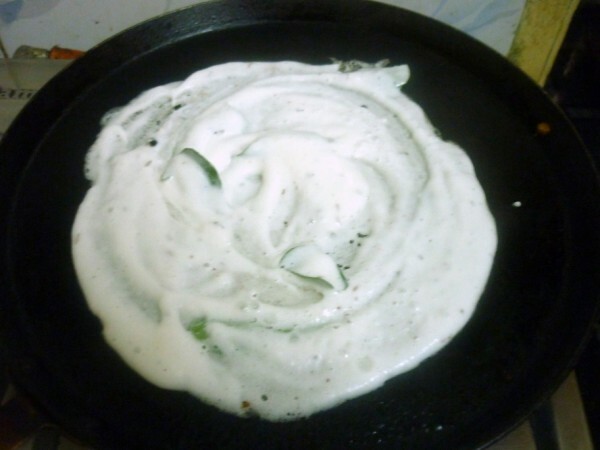 Heat the skillet, greased with oil, pour one ladleful of batter and make thick dosas. Sprinkle ghee on top. Serve with onion chutney or coconut chutney. The dosa was different from the normal one, spicy because of the pepper. It made a wonderful breakfast. Never heard of this before..looks very soft. I just hope my kids get out of 'no dosa' period. me too, never heard of this dosa. great one. I didn't have any convocation ceremony, nor my husband. Thankfully Shreyas was spared this ceremony, but they did have an annual day. Delicious dosa and a nice quick dinner idea. I have tasted this and I love it very much but have not tried it at home. Very simple yet different! The curry leaves make it colorful and I'm sure the jeera & pepper enrich the taste! hey congrats! !…I just saw my grandaughter's graduation pics..this must be the trend in Chennai..they look so cute:))..and the dosa..v tempting indeed..book marked!! Crushed pepper will add an extra zing to the dosa right! Dosa look Tempting !!!! Thanks for sharing this,heard about this dosa but didn't tried..looks very soft n yummy!! Congrats Valli. Give my big hug to your kids. I liked the addition of pepper to dosa. All the credit goes to mother so congrats Valli and ofcorse congrats to both boys. 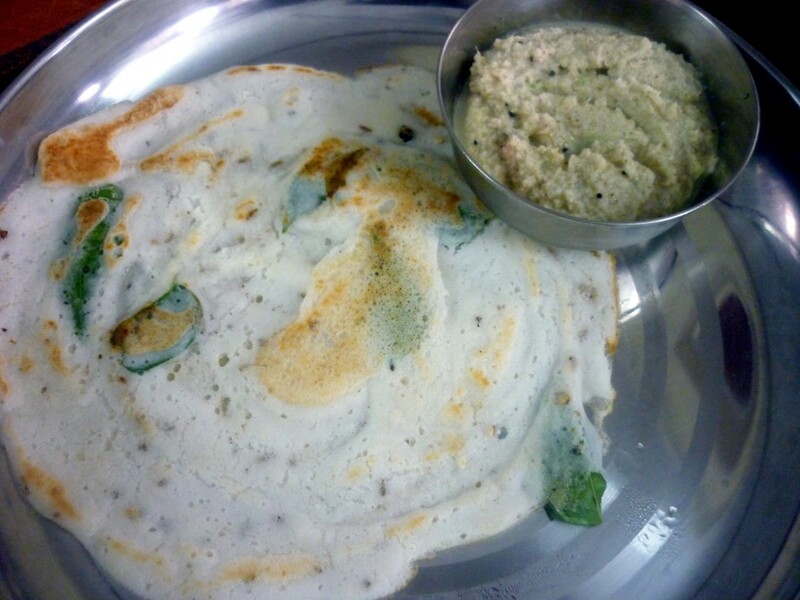 And we use to get this dosas in tirupati as prasadam long back means when I was a kid then stoped giving as prasadam, only for kalayana members they used to give this now a days that also stoped..:( thanks for the recipe Valli.. Interesting, never tried a dosa with pepper.